The discovery could provide a preventative treatment for people at risk of the disease, stated a media release from the Ohio State University. “We concluded from this study that six months of strawberry treatment is safe and easy to consume. 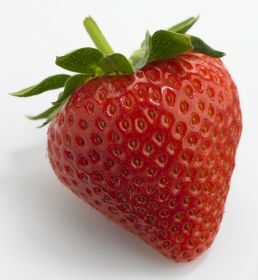 In addition, our preliminary data suggests that strawberries decreased histological grade of precancerous lesions and reduced cancer-related molecular events, said Dr Tong Chen, who is the assistant professor in the division of medical oncology at the university. Previous research by Dr Chen and colleagues showed that freeze-dried strawberries significantly reduced the development of tumours in rats. Encouraged by these results trials were carried out in China on patients with oesophageal precancerous lesions. “We found that daily consumption of strawberries suppressed various biomarkers involved in oesophageal carcinogenesis, including cell proliferation, inflammation and gene transcription,” said Dr Chen. The California Strawberry Commission helped fund the research.